In creative writing classes you are told again and again to find “your voice”. And when you find that voice it’s apparently supposed to be different than every other voice. When I was an aspiring writer, this advice always seemed nebulous at best. But it began to clarify when I read Farber’s On Water and Face of the Deep. Nobody can duplicate Farber’s style, especially his nature writing. It is crisp and clear, witty, rigorously researched, and at the same time as fluid and carefree as the water he is so obsessed with. I think Tom found his originality by being a purist as writers go. He refuses to follow any formula for what a “good story” is. Instead, he enters the short stories in these books where he wants to, where his mind is at the time (the reader senses): a quote, a word, sometimes a definition – “Pelagic”, one story begins. This is not laziness. Face of the Deep and On Water are as well researched as most “expert” books on the sea and it is a shame that they have not reached the popularity they deserve. 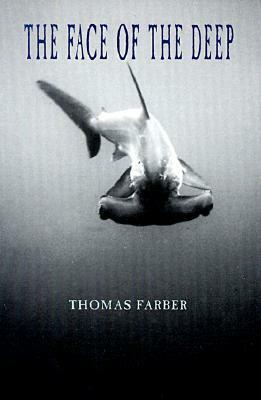 Edited down to the starkest possible prose, stark as a vast stretch of grey coastline, Farber is simply the master of water writing. He was part of my inspiration to write Saltwater Buddha: a surfer's quest to find Zen on the sea . And I am eternally grateful. These two books or must-reads for all ocean lovers, and really – given that we are all made of mostly water – for all people.